We thank the Lord that the monsoon season has started and it has been raining heavily for the past few weeks. 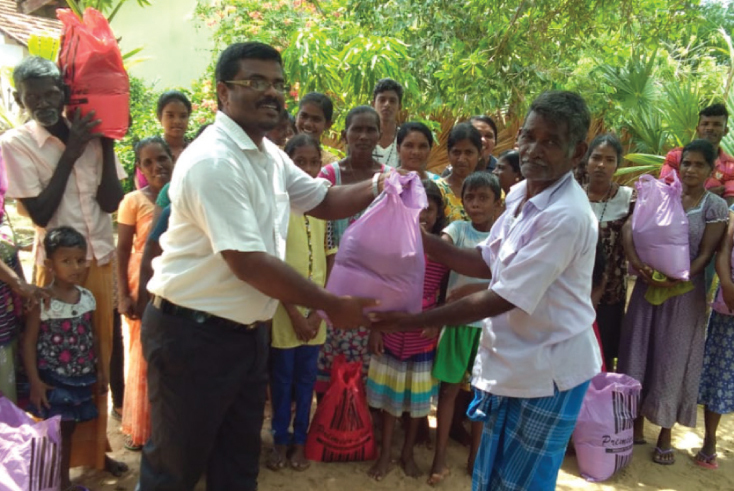 Many families have requested funds to grow rice. So far 80 families have been given £200 each to cover the cost of ploughing the land and buying seed and fertilizer. Some of the families own the land while others rent their plots. More families are requesting help with rice growing and self employment projects. LEFC are assessing the needs and helping according to available funds. The rice will not be harvested until early next year, so in the meantime LEFC run programmes that provide food parcels to 1200 families. These include coconut, coconut oil, floor, potatoes, dahl, tinned or dried fish, tea, sugar and soap. These basics will help to get them through, God willing. Urgent prayers are requested for Br Isaiah who helps us with our translation work and also helps our gospel workers in the Northern Province. 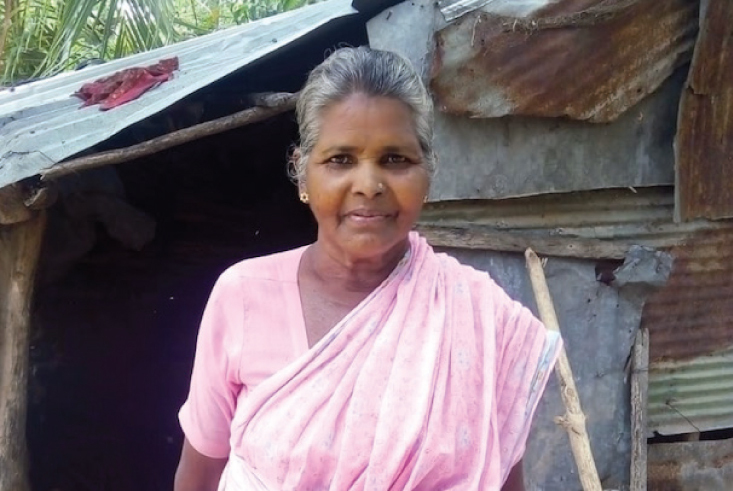 Br Isaiah had been visiting relatives and was returning to his daughter’s house in Chettikulam when he was charged by an elephant along a lonely jungle path. The elephant picked him up with his trunk and threw him into a thorny bush. One of his legs was broken in the fall and he received injuries to his eyes, face and back. 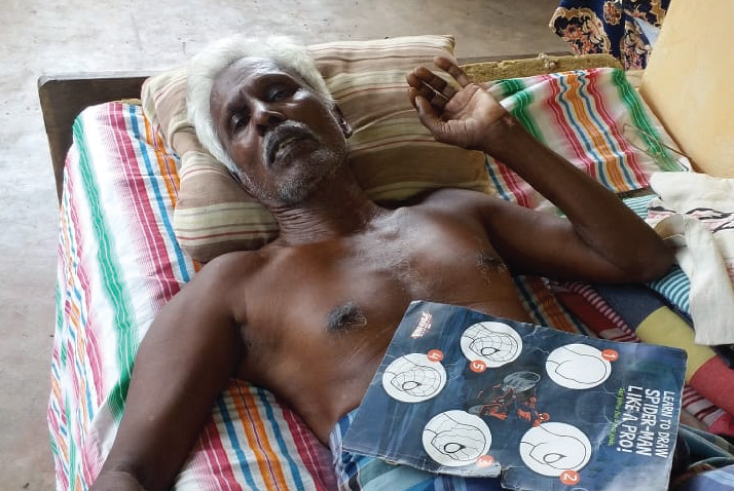 He was found unconscious by the Chettikulam police and taken to the Vavuniya Base Hospital’s emergency unit where he is being treated. We are thankful to God for sparing his life and ask for prayers that the Lord would restore him to health. 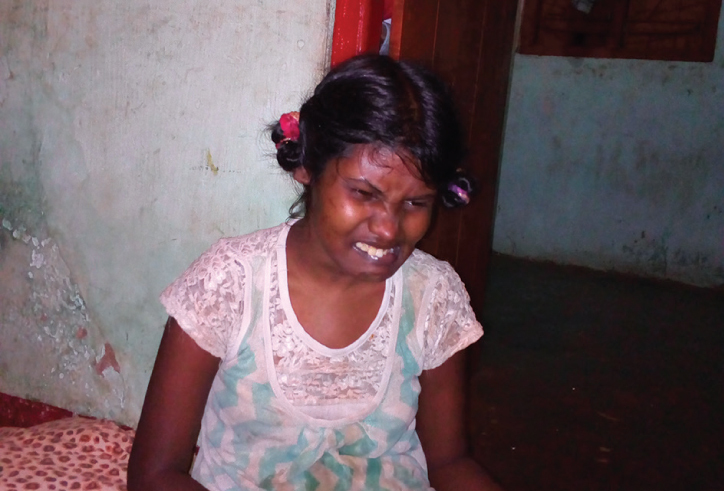 Sujenthini (23) has a mental disability. Her parents have been bringing her to church every Sunday for many years. The church helps her by providing milk powder and incontinent pads. The family are very poor and struggle to feed her and support her medical needs as there is no state help. They worry about the future and who will look after her. Most of the families in this small village are Hindus, and many are quite fanatical about their faith. Evangelism is strongly opposed. Those who have become Christians have been ostracised by the others and are discriminated against. They are excluded from welfare programmes. 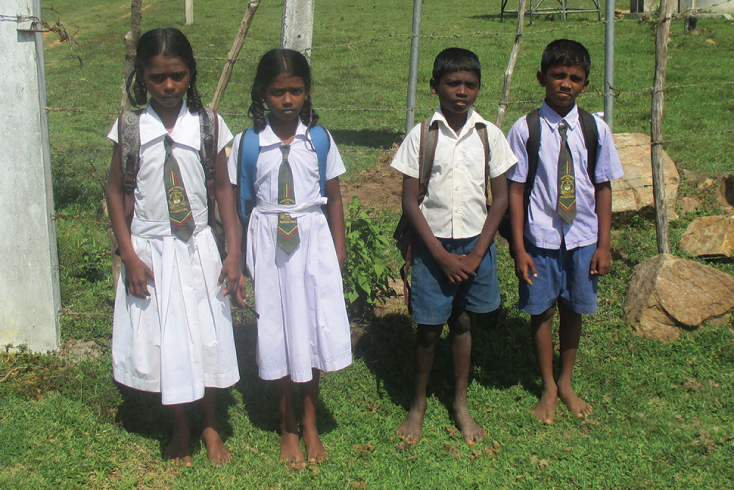 Even Christian children are treated differently at school by the teachers. To make matters worse, the new Head teacher at the village school is a staunch Hindu who forces the Christian children to observe Hindu practices. This has caused confusion and distress among believers. Yet, our Lord has strengthened the faith of our believers and has given them courage to face the opposition. Praise God for the provision of our new church building. As the building was nearing completion, Hindus mounted a demonstration at the site, shouting that they would not allow a church in their village; they threatened to beat up the gospel workers. Some villagers who practise black magic have made curses against our workers. But our mighty God protects His own. The church has a problem that in most families, it is the husbands who are not saved. While the wives want to be involved in church activities, the husbands still live in their own sinful ways, getting drunk, picking fights with their wives, even accusing them of having affairs with the pastor and church workers. This attitude causes much distress among the women. Brother Ravinathan reports that the believers have felt the guidance of God over the years, through many trials and tribulations. But sadly, 5 families that had been baptised and were very active in the church, left having been attracted by prosperity teachings in other churches. Give thanks for the members who remain steadfast in faith and worship, prayer and Bible study – and are a great encouragement to Brother Ravinathan. Pray that they would remain steadfast. 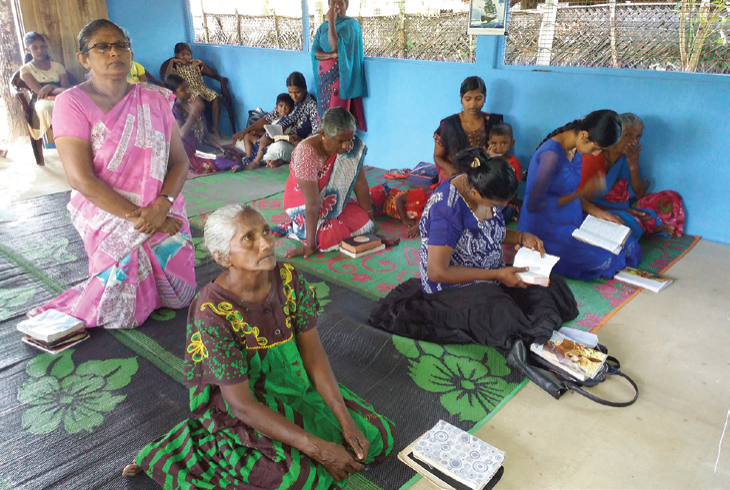 Pray for the lonely widows in the church, that God would be their companion in their loneliness and provide for their financial needs.